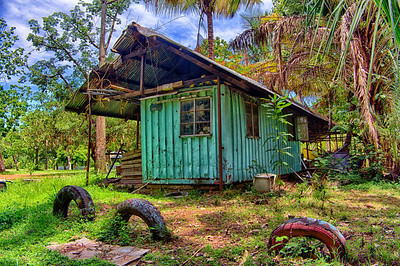 A shack with a steeped roof made from shipping containers. 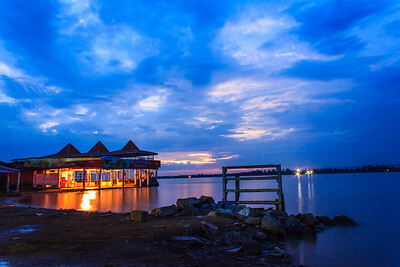 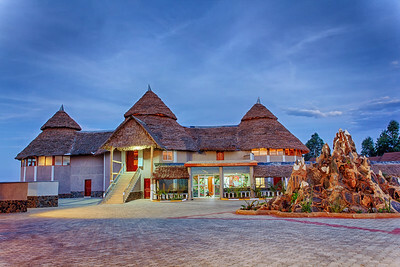 A restaurant called Delta Force sits on the shores of Lake Victoria in the lakeside town of Kisumu in Kenya. 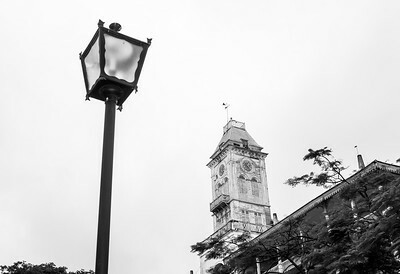 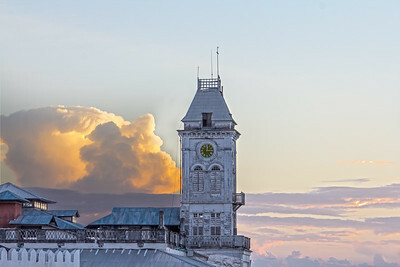 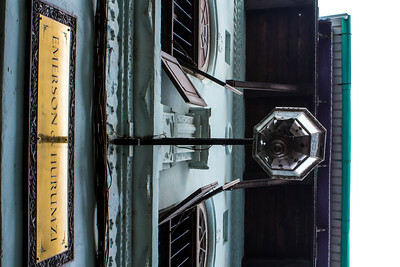 The House of Wonders clock tower stands tall against bright clouds in Stone Town, Zanzibar. 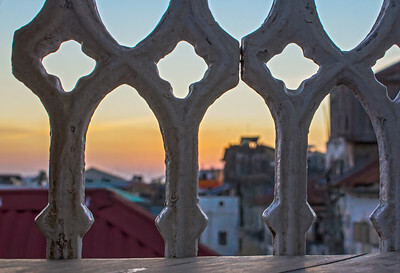 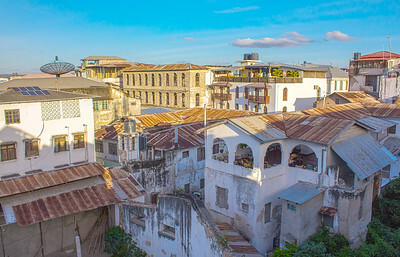 View over the rooftops in Stonetown, Zanzibar in Tanzania. 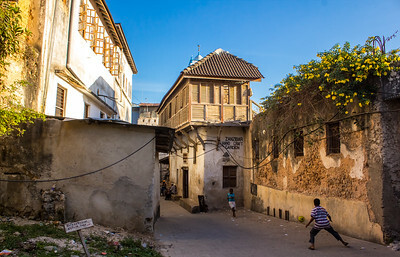 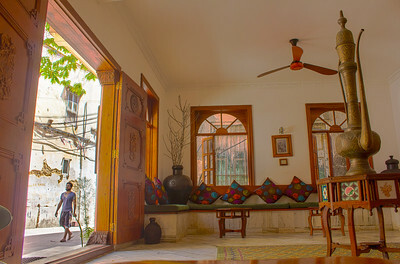 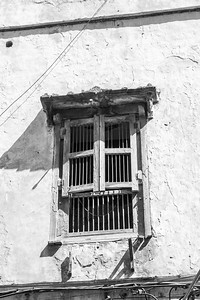 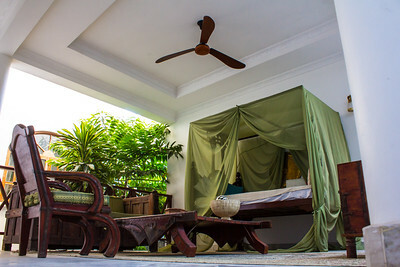 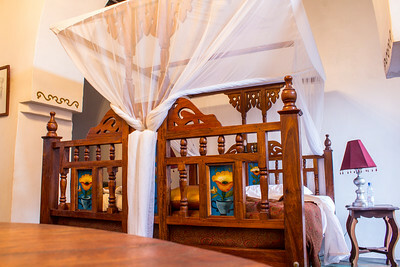 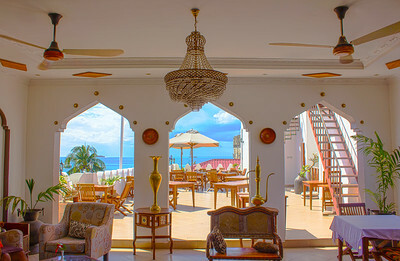 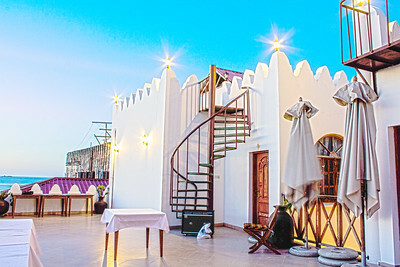 Panoramic view of Stone Town, Zanzibar in the morning light. 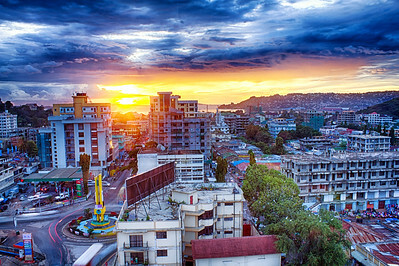 A view of the city of Mwanza in North West Tanzania by Lake Victoria. 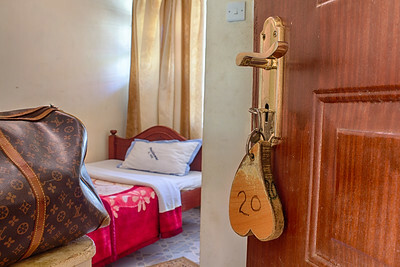 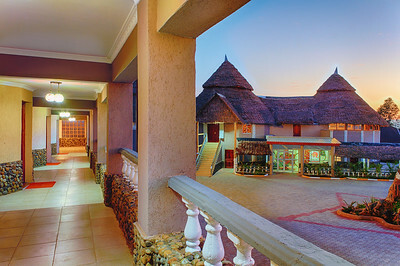 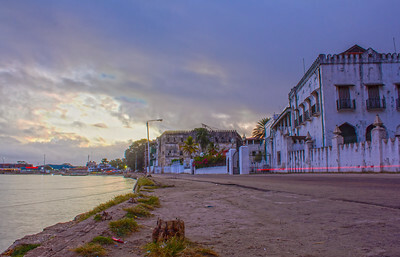 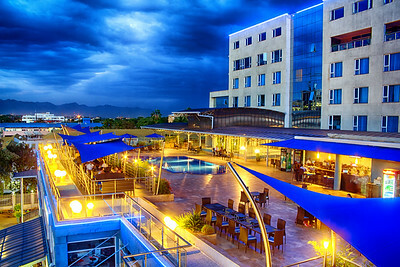 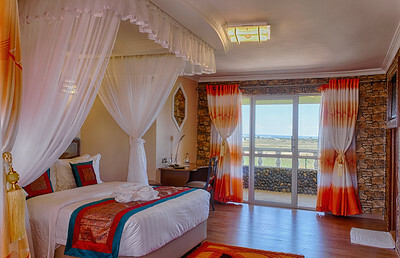 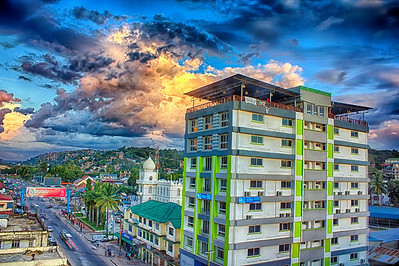 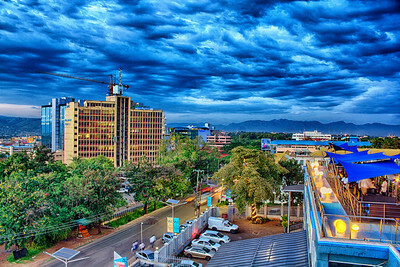 Mwanza is Tanzania's second largest city after Dar es Salaam. 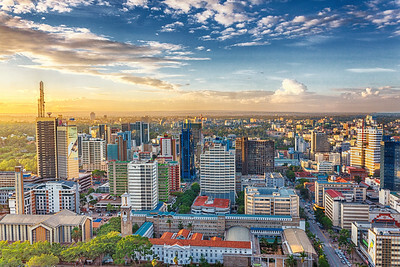 A view of the city of Nairobi skyline during sunset. 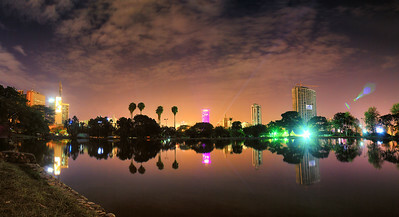 The skyline of the city of Nairobi taken from Uhuru Park. 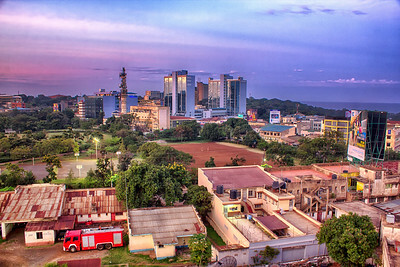 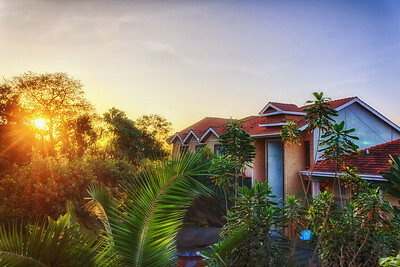 A section of Kisumu City in the morning light. 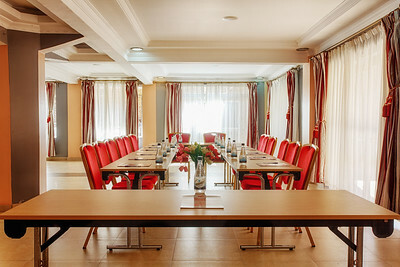 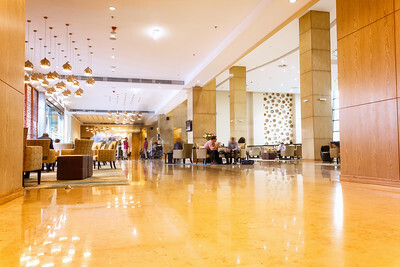 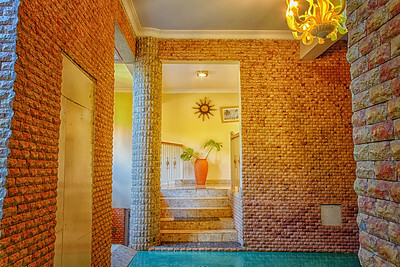 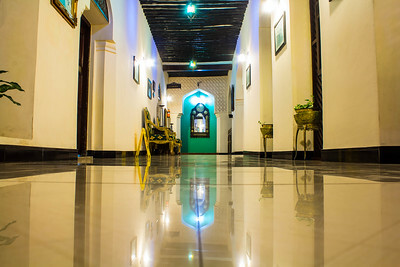 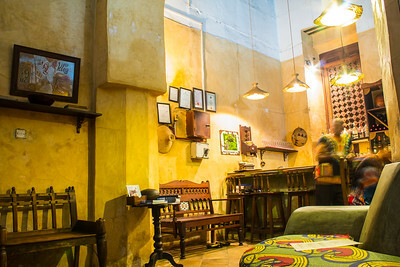 A view of a hotel lobby with guest milling around.